Mom, the Intern: So easy, even a cavewoman can do it. So easy, even a cavewoman can do it. Remember those creepy-scary GEICO commercials with the cavemen? I don't really watch television anymore, so I'm out of the loop and have no idea if they even run them anymore. This is what I am referring to here. Truly, it was easy-peasy. Even a little annoying, if I'm being honest. 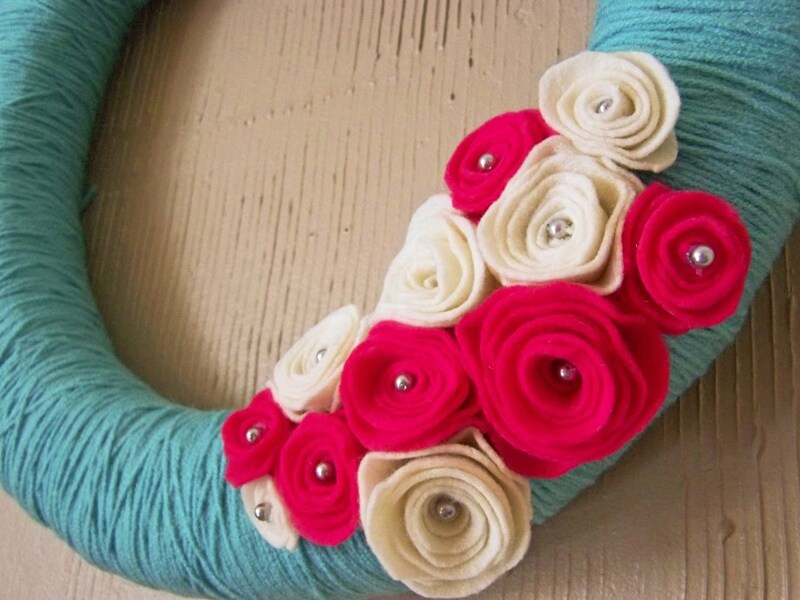 I mean, how hard is it to wind yarn around a wreath a million times? Not hard. But definitely repetitive. As for the bread contest, it's officially closed. I got seven or eight recipes, so I'm going to be busy over the next few weeks. I've decided to make two of them each week until I'm done. I've made one already, and it was a hit! At this rate, I think I'll be done by Smush's first birthday. And if I'm not, maybe I'll make the last one as a Birthday Loaf and stick a candle in it. I've gotten to the flippy-out stage. Don't know how I feel about it yet. My cute neighbor told me it reminded her of Meg Ryan, which I'll take as a compliment. 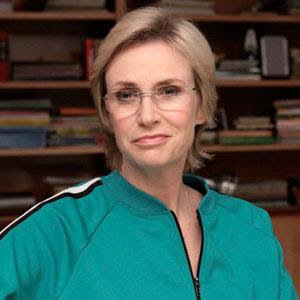 I was thinking Sue Sylvester. i love the wreath! i've seen tutorials like that before but have never tried one myself. it turned out so great. love the colors. 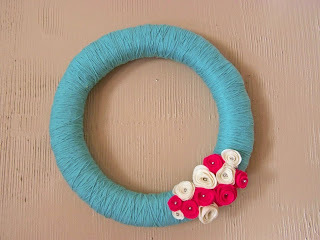 What a cute wreath! I love the colors you used. Your hair is still looking cute too, definitely Meg Ryan. It seems to be growing fast! 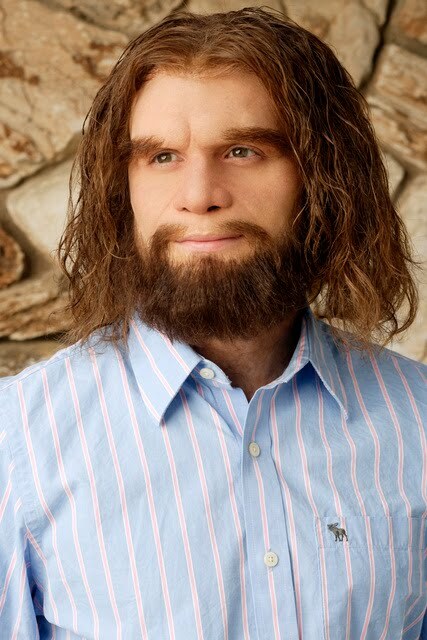 Oh, and I have to say that I LOVE the geico caveman commercials. The older ones anyway, they used to be so funny! Your hair is adorable! I'm in an in-between stage and I'm hating it! Yours looks awesome!